Private and group dining available. Contact our dedicated Sales and Marketing Manager to plan your next business or social event. Hosting a party at your home or office? Catering available from menu selections. Please contact Janette Jordan for details. 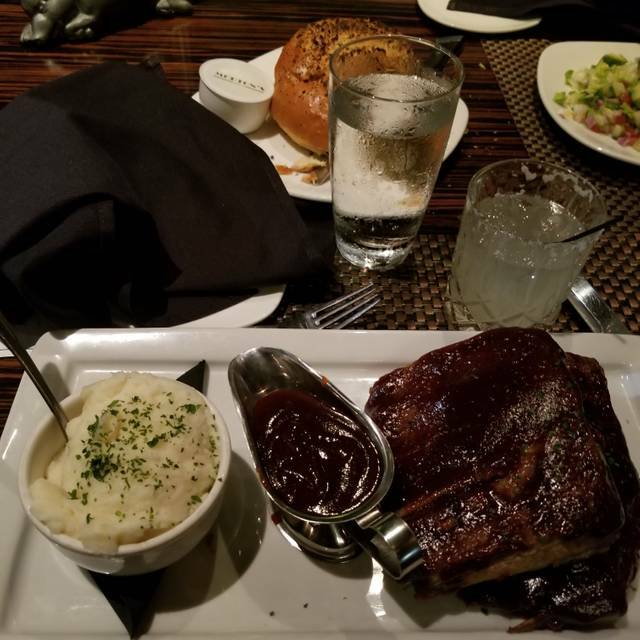 Thank you for reserving at Morton’s Grille - The Woodlands. We look forward to serving you. 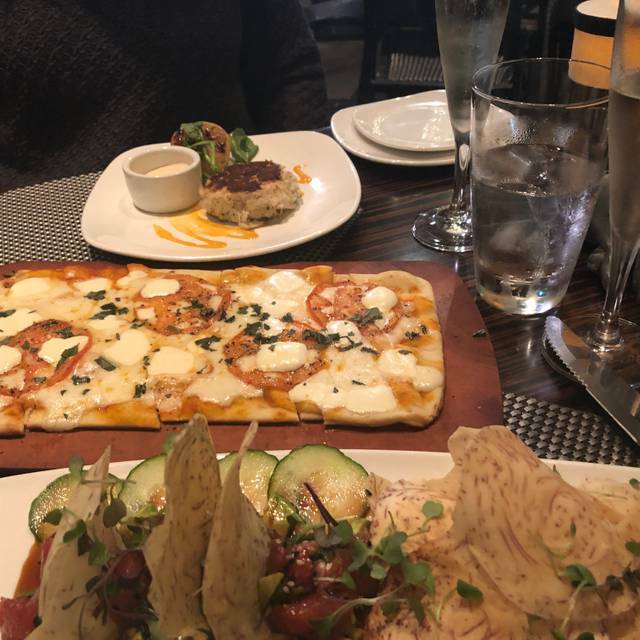 Great options for sharing, classic steakhouse fare, inventive hand-crafted cocktails and exceptional service...Casually Elegant, Undeniably Morton's. For special events, private Boardroom information and online reservations, visit our website. I guess cajun mean crusted in salt for the pork chop, and the asparagus wasn't really cooked. Service was great and it was nice otherwise. Our waiter did an excellent job of getting us in and out in a timely fashion. The food was fresh and hot. No complaints. 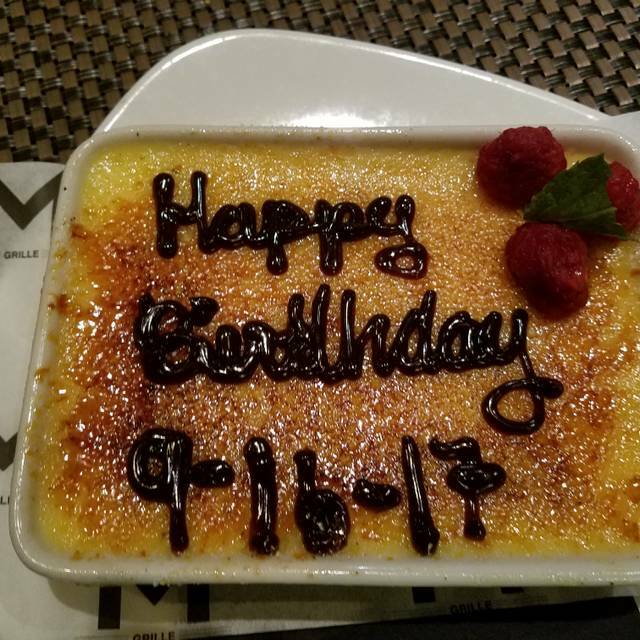 I had a reservation for 5 indicating a birthday. We were seated and only had one other table of people visible . For the establishment being almost empty I really would have thought the service would have been spot on, however it was not. Very slow. My medium 8oz filet was very well done. Almost jerky. She didn't even mention the toppings I could get which would have been nice to know since I had not been there before. Sides were good. Buttermilk chicken sandwich was a no go. We paid 300.00 and left with no mention of a birthday. Would have been nice for them to say something since they were so slow and they were aware. Overall I will stick to my steak selling establishment of Kribys when I want to spend 300.00 again. Terrible service, DO NOT COME HERE! You have been warned. Best Resturant and Team MGMT around!! Food is perfect and first class every time!! Joe will take great care of you. We were celebrating my husbands birthday, the service exceeded our expectations! We really enjoyed our dinner. The food was off the chain good. The portion was a little on small side but the large portions of the sides kind of made up for it. Great food. Service was very good, also. Nice place for a business lunch. Everything was great except the coffee after the meal. My wife asked for decaf. Her decaf was not fresh brewed. It tasted very old. She couldn’t drink it. Otherwise, the meal was an A. We were disappointed to learn that they had changed a few items on the menu. One being their signature matchstick truffle fries! It was a must with happy hour and a hit always! It will just not be the same without them. Excellent service and wine recommendations from Sarah! 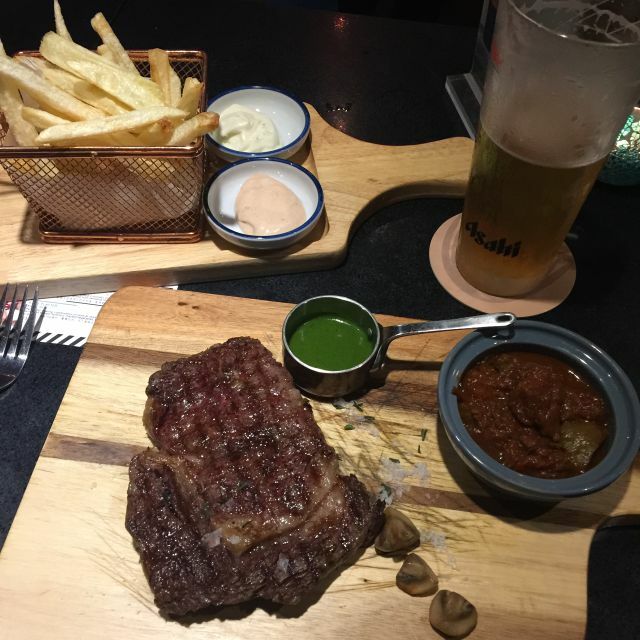 Very good rib-eye steak. Only complaint is that they would not fulfill request for vegetable substitution. We've eaten at Mortons several times and know it is usually loud and pretty cramped in the main dining room. This time we had a reservation & got sat directly by the patio door. Every time it opened (all the time), we were blown by a giant forceful wind. There was no other table available to move to so we sucked it up. But the service was awful, our waitress was very slow to take our order. When she finally did, we waited and waited and waited for our food. Finally she came over & explained she had never turned in the ticket. We had already had appetizers and salad....got our dinner about an hour later. They offered free dessert but the experience was awful. Food was good. 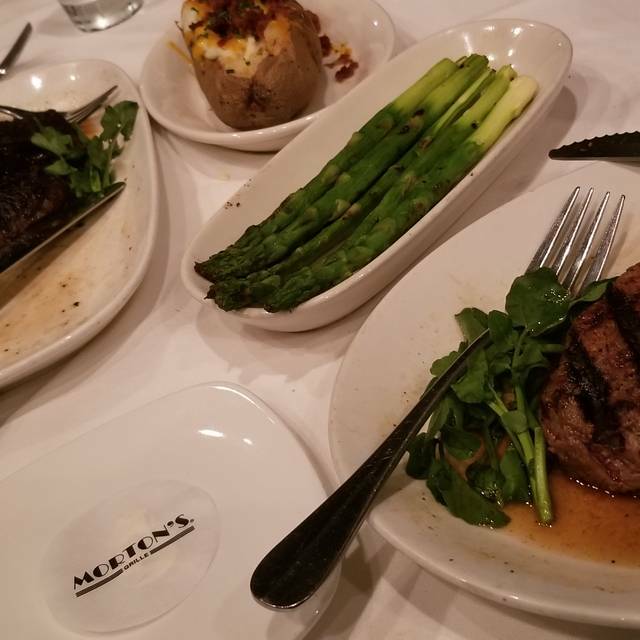 We always go to eat at Morton's Grille when we want to eat nice steaks. Taste was good as usual, but atmosphere was a bit different with lot of kids. We went for Valentine's dinner, so wanted have a bit quiet way, also, you don't have any service for "special day" like birthday or Valentine's day dinner, which is a bit disappointed. My sisters and I booked a reservation for my Mom's birthday. It was a totally painless process. The food was very good. They offered my Mom a free dessert and printed a little special menu for her. These small things really added a nice touch. Our absolute favorite new place to go! Everything about this place is amazing! We have been to the restaurant several times in the past. On this occasion the food service was extremely slow. It was probably close to an hour from the time we ordered to the time we were served. In addition after ordering it was approximately 30 minutes later that I was told the Rack of Lamb was no longer available. Seems to me this should have been recognized by the staff much earlier. I then ordered the Coulette steak, which wasn’t all the good. Finally, when the bill came I was still being chard for the Lamb. When I brought it to the attention of the staff, the error quickly corrected. 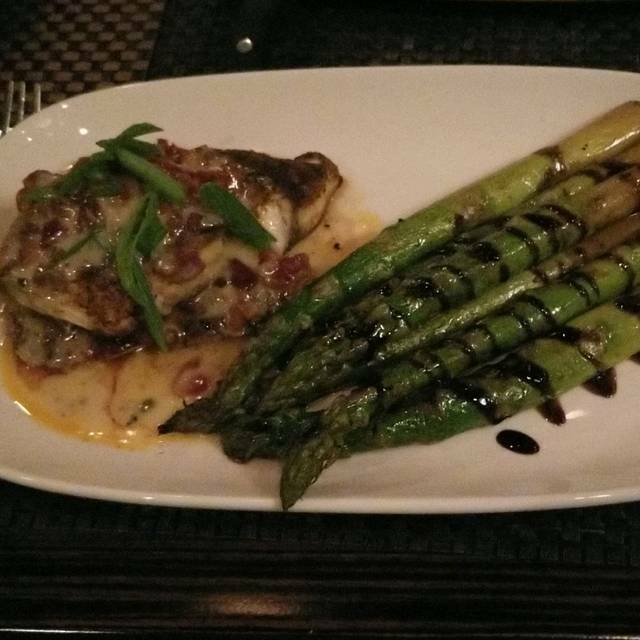 This was our first visit to Morton's Grille. We celebrated our niece's birthday at Morton's Grille recently. I had made reservation using Open Table and mentioned that it was my niece's birthday celebration. 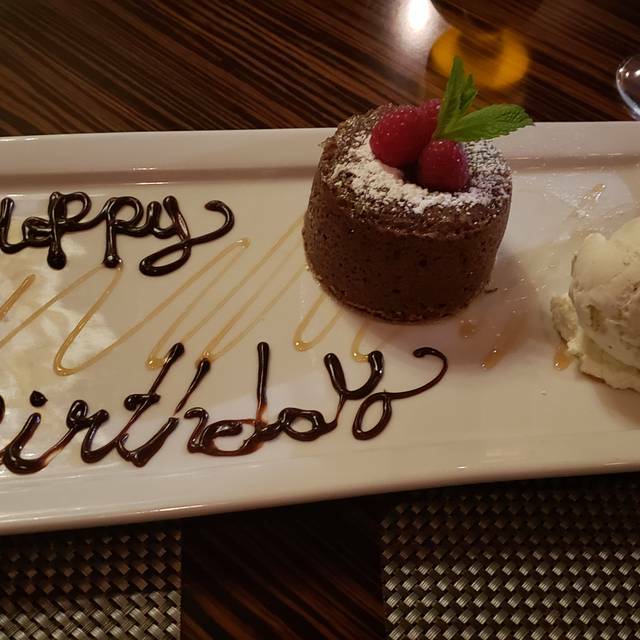 The wait staff wished her Happy Birthday and even gave her a complimentary Lava Chocolate Cake as birthday cake. It had "Happy Birthday" written on it and even had a candle. The food was, of course, very delicious. We will visit again. The best ribeye steak I’ve ever hade cooked to my preference! The service is excellent t! Really enjoyed the dining experience. The food was great, service was outstanding and the atmosphere made it a perfect evening with my wife. Service was nothing special. Wife’s steak came out well done and took them a while to remake the steak. They only brought out the steak with out offering to bring fresh mashed potatoes or shrimp until I asked if she could get some fresh mashed potatoes. I Didn’t ask about the shrimp. Paid full price and was never offered any kind of concession. Pretty disappointed with whole experience especially at the price point. Definitely not a good value. Excellent dining for our delayed Valentines Day celebration. Did not disappoint. The staff is very professional, food is good at a reasonable price. The waiter could tell we were talking business and did not stay at our table too long. He took care of his business and we were able to take care of ours. Location is great and valet parking right out side is a big plus. I have been there before and will go again. Excellent food and fabulous service! Cannot wait to go back. Cajun ribeye was so good! Service was great! Our server was very helpful and gave excellent recommendations! Food was delicious. What was disappointing was that the table was set for 4 people when I specifically noted that it was a 17 year wedding anniversary for 2. I had seen other reviews where they indicated that they had rose petals on the table for their anniversary. Attention to detail was not there. Waiter was great but operations support was worst ever. Very under cooked pork chop, burnt loaf of bread ,wait of 10 minutes for our drinks and 20 minutes for a cup of coffee. Will not go again or recommend. We waited at the reception for 5-7 minutes by ourselves prior to being greeted. We had to find staff to seat us. We asked to be seated far from the screaming 2 year old behind the receiving area. The manager made it look like work to find us an alternative table in the empty restaurant. The screaming kid was still unbearable so we got up to leave. Then the manager offered us a separate dining room. This was the solution that should have been offered in the first place. The dining room was much better but the evening was already ruined for my wife’s birthday. I have entertained many a customer at your fine establishment all over the US and I have never experienced such poor performance. Hopefully for your Woodlands location, this was just an off day. Service - atmosphere was very good. My only complaint was my steak was average at best. Tough and a poor cut. Everything else was great. New server was slow and not properly trained. Great service and food. Crab meat with asparagus and shrimp is the best topping for your steak. I have dined at other Morton's locations that were outstanding however this one was very poor. From the moment my business party of four walked in, there was a sense of disorganization among the staff and management. They seemed overwhelmed. Seating was slow, despite my reservation. The Caesar salad was awful; like something you might experience at Red Lobster or Denny's. After having our salads, the plates sat in front of us for what seemed forever. Then, the steaks arrived and the table still hadn't been cleared. So, the fifty dollar steaks sat cooling on a side table while the staff was alerted to begin clearing the table. After lunch, we were offered coffee but not dessert; one of my guest had to ask for a dessert menu. The coffee was served but, after requesting cream and not receiving it, I finally had to get up an chase down a server to ask for the cream, again. This was not an impressive experience for my client and reflected poorly on my choice of meeting venues. Dining seemed cramped. Tables too close together. Room temp was too cold. AC was set too low. Lighting could have been a little brighter. Took a long time to get main entree from when it was ordered. Morton’s is my son’s go to birthday spot. Next year he will be picking a new place. The service was not up to par. Took 3 times to get mashed potatoes. Received them half way through the meal. Dessert was not offered to the table...just a chocolate cake for the birthday boy. 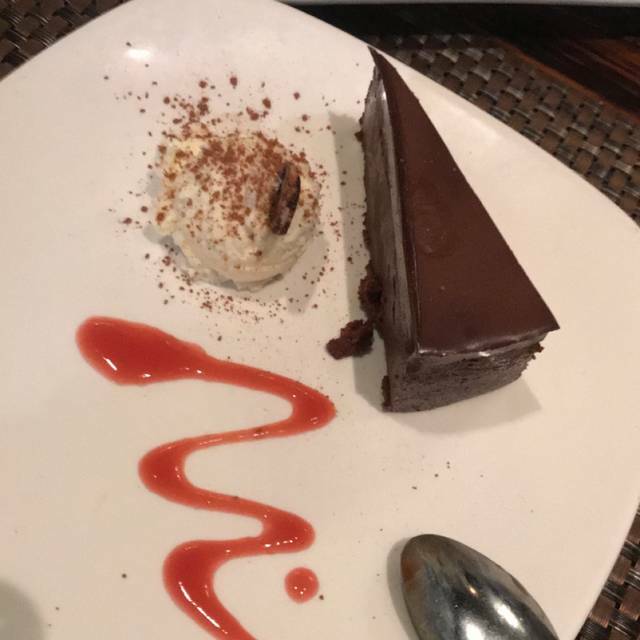 We realized we weren’t going to be offered other desserts because our check was brought to us. Disappointed describes our visit. Great attentive service provided by Braun. Appetizers to dessert, our food was served fresh, tasted great and the family enjoyed themselves. The only thing bad to say was the noise level.